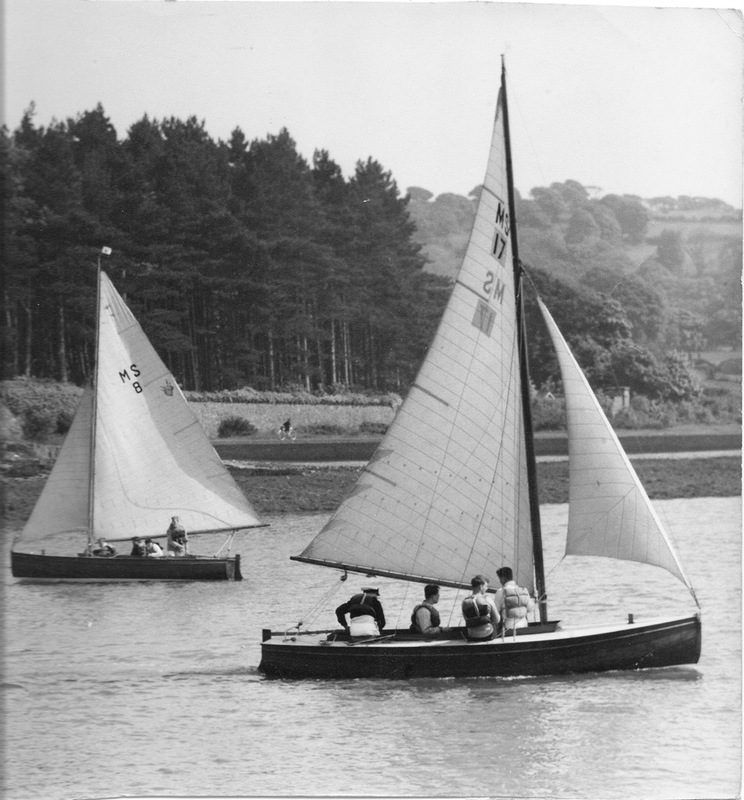 Between 1952 and 1969 five Menai Strait One Designs were owned by HMS Conway, the pre-sea training school based at Plas Newydd on the Menai Strait. The boats were all named after famous clipper ships; Taeping, Sobraon, Flying Cloud, Ariel and Lightning. Each boat was assigned to one of the five divisions or “tops” – Maintop, Forecastle, Foretop, Mizzentop and Hold. They were sailed by the cadets at Plas Newydd, Port Dinorwic and in many of the Royal Anglesey Yacht Club races off Beaumaris and Bangor. Back then the line of boats being towed along the Strait to and from Beaumaris was a familiar sight. On more than one occasion the tow parted in the notorious Swellies creating havoc as the old naval pinnace tried to round up the scattered boats. Good seamanship training! The Conway boats did well against the local experts. In 1963 for instance, they won five out of the six RAYC races they took part in, and came second in the sixth. 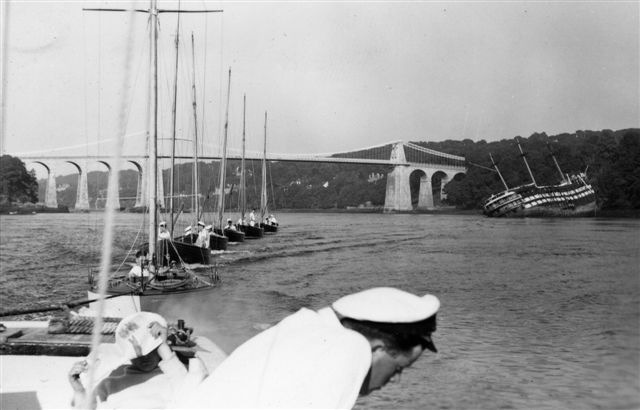 They also went on longer trips including a round Anglesey expedition. 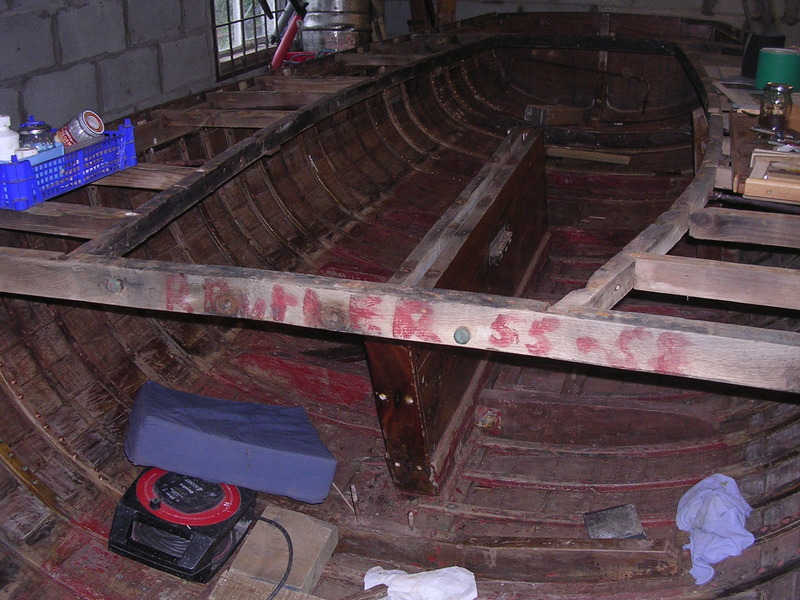 An interesting discovery was made recently when Mike Lynskey removed the deck of Flying Cloud which he was restoring, and found the name R BUTLER 55-58 painted on the main deck beam. This has probably not been seen for 50 years. 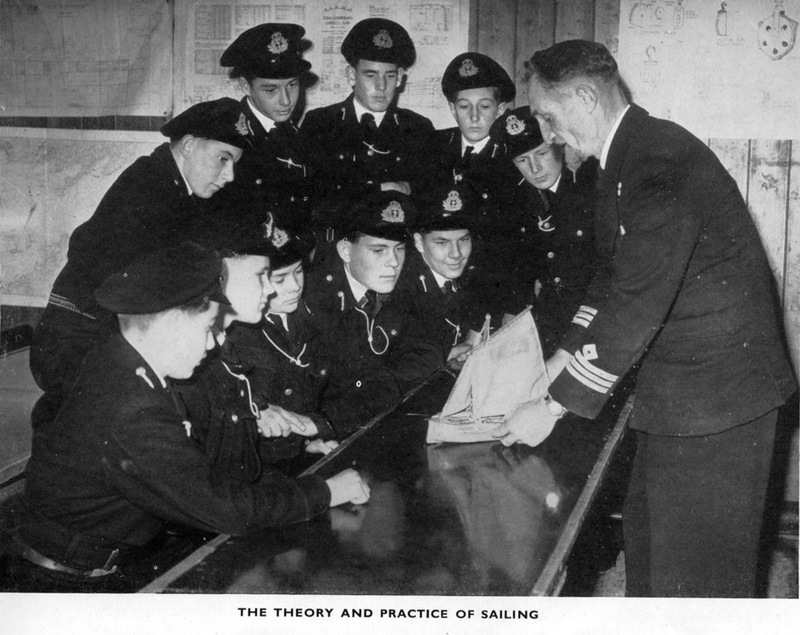 It was common practise for cadets to add the years they attended the Conway after their name. Mr Butler has been tracked down and remembers spending hours under the foredeck scraping old red lead paint out of the bilges. Happy days! For more information about HMS Conway visit their website http://hmsconway.org/ and if you have any memories of sailing MSOD’s at HMS Conway we would like to hear from you.